Media and Contents: Soft cover, 176 pp. plus double-sided, double A3 width fold out drawings and covers. 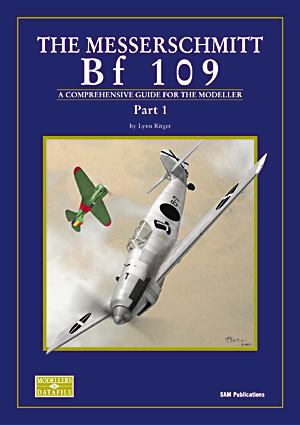 Advantages: A great one-stop reference for the modeller; good emphasis on previously neglected early variants and prototypes; well structured; useful walkaround photos taken with the modeller in mind; attractive profiles; high standard of modelling and analysis of available kits; excellent scale and scrap drawings in 1/48 scale plus wartime manual illustrations pointing out important distinguishing features. Lynn Ritger will be well known to many HyperScale visitors as a Messerschmitt aficionado and the webmaster of the "109 Lair" website. Lynn has channeled his enthusiasm for the Bf 109 into print for his first book, "The Messerschmitt Bf 109 Part 1: Prototype to ‘E’ Variants". This is the ninth Modellers Datafile offered by SAM Publications, and its modeller-friendly format will be familiar to those who have purchased other titles in the series. The book comprises 176 pages plus double-sided, double A3 width fold out drawings between its glossy blue covers. Text commences with a handy Glossary of Terms, followed by a four page description of the early prototypes and their distinguishing features - an area which has caused some confusion over the years. Next up is seven pages on the 109's combat debut in the Spanish Civil War. Once again, the issue of identifying characteristics of variants is a priority here, with a special emphasis on the possibility that a significant batch of these first 109s were actually production "A" models. Camouflage and markings, operations and losses are also covered in this interesting chapter. The following chapters also discuss variants, markings, colours and operations pre-war, in the Baltic, France and of course the Battle of Britain. Next we are treated to ten pages of very attractive and varied colour side profiles by artist Jerry Boucher, plus a further page of plan views illustrating typical 70/71 and 71/02 camouflage patterns. Plenty of inspiration for modelling subjects here! 13 wartime colour photos of various Bf 109Es are also included. The text resumes with a discussion about the possible paint finish of later Spanish Bf 109s - a tricky subject - with conclusions supported by colour photos of remaining relics. The commentary continues with chapters on the Balkan campaign, the Eastern Front, the Bf 109 as a trainer, and foreign operators. Luftwaffe historian and colour expert Dave Wadman also makes a special guest appearance with a chapter on Bf 109E Camouflage and Markings 1939-1940. Chapter 14 is 13 pages of detail drawings of components from various Bf 109 sub-types, reproduced from original wartime German manuals. These are logically laid out and titled, with helpful English descriptions where they are most needed. The Walkaround section contains wartime photos of a Jumo Messerschmitt captured in Spain, followed by detailed photos of three restored 109Es. The book continues with a summary of available models in 1/72 and 1/48 scale. No fewer than than 12 models, built to a very high standard by the author, illustrate the helpful analysis. Lynn even includes a summary of what judges in an IPMS USA competition might be looking in a competition model. 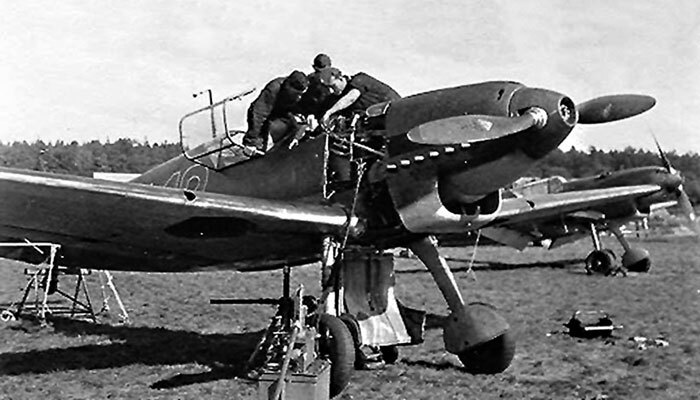 "The Messerschmitt Bf 109 Part 1: Prototype to ‘E’ Variants" is an ideal modeller's reference for these earliest Augsburg Eagles. Its 176 pages contain a helpful blend of historical and modelling information, supported with copious wartime photos (well captioned too), technical drawings, colour walkarounds and inspiration via artwork and assembled models.